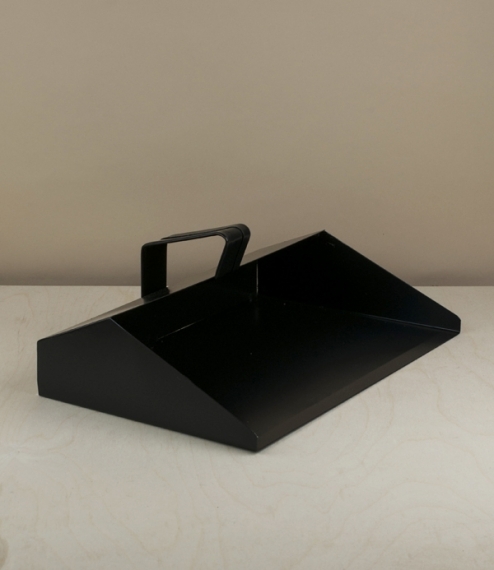 A strong black powder coated steel dustpan with a loop handle designed for single handed use. Made in Poland from 3 pieces of crisply folded and spot welded sheet steel formed with a hood in order to catch a majority of flying dust, and to help prevent waste blowing loose whilst in conduit to the bin. 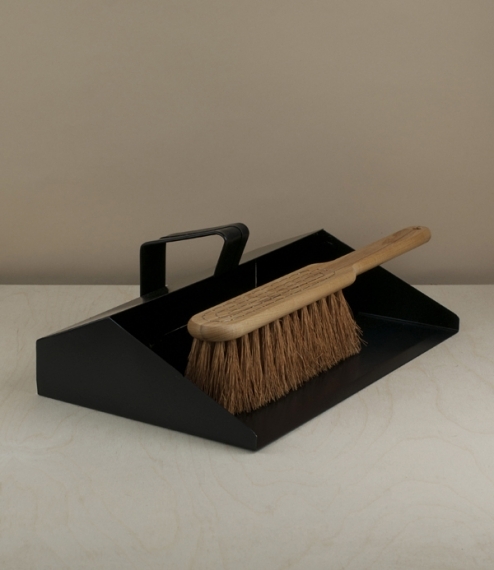 Of a type favoured by glazers - modern plastic dustpans tend to get shredded - these are also suitable for almost all household use. 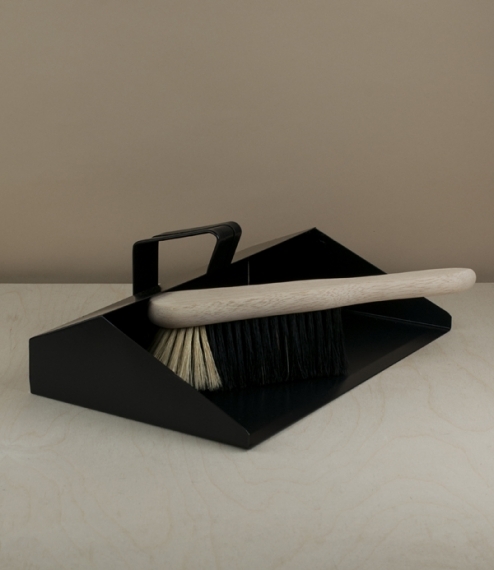 Ideally suited to our hand brooms nos. 1, 2, or 3.